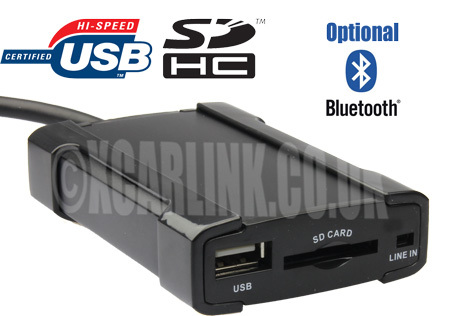 The MINI USB/SD interface is perfect for connecting a USB Disk/SD card with music files or an MP3/MP4 to your MINI stereo. This is the perfect option if you do not have an iPod. It allows a USB Flash drive or SD card can be integrated with your MINI factory car stereo system without any loss of sound quality!! Simply perfect CD quality sound all the time. It will also allow you to control the music files on your USB drive or SD card through your factory radio and steering wheel controls. Enjoy Perfect Digital CD Quality Sound!! Direct Connection to the CD changer port, no FM Transmitters. One of the other key benefits is the ability to control your MP3 player /USB disk or SD card through the controls of your factory car stereo/steering wheel. You can even setup folders as Albums or Playlists and select them through your car stereo and steering wheel controls. Click here for more information. Displays iPod Text on the Radio display, with automatic scrolling when there are too many characters to fit the display. 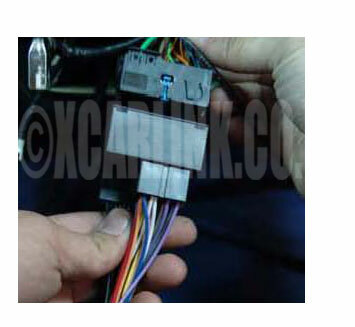 Simple Plug and Play original Harness connector plugs directly into the back of the BMW Business Radio - no extra wires to connect, simple Installation. Power on automatic play function and power off automatic pause. Please note: MINI radio must be CD text compatible in order to display text. allow you to make and receive calls hands free through your car stereo speakers.